Congress has begun holding hearings on the reauthorization of the US Export-Import Bank, which provides financing assistance to help US exports. TheEx-Im Bank’s charter expires in September. Three myths are being perpetuated by the new House majority leader, Kevin McCarthy, and other conservatives who would like to see the Ex-Im Bank closed. Below these myths are considered in turn. Myth #1 — The Ex-Im Bank is a drain on taxpayers. No, it sends money to the US Treasury from the interest and fees it receives on loans, amounting to $2 billion over the last 5 years. The reality for taxpayers is that the Ex-Im Bank pays interest on the funds it borrows and returns a profit at the end of the day. The default rate is very low, generating very little risk for taxpayer money. 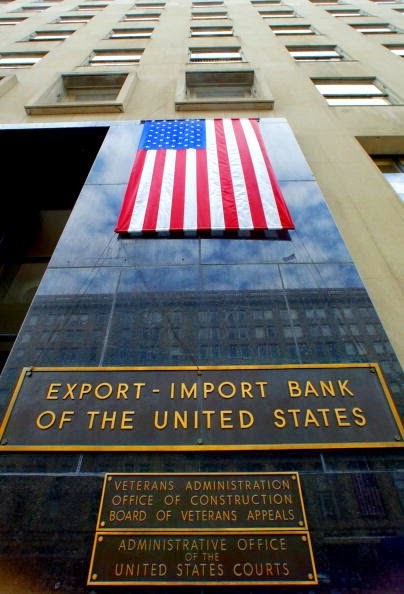 The Ex-Im Bank’s foes argue that private banks would charge exporters higher interest rates, and therefore exporters are getting subsidized loans, which is costly to taxpayers. However, as my colleague Gary Hufbauer shows, this so-called “fair value” measure uses private rates that are arguably far from comparable. Myth #2 — The Ex-Im Bank is a form of crony capitalism. 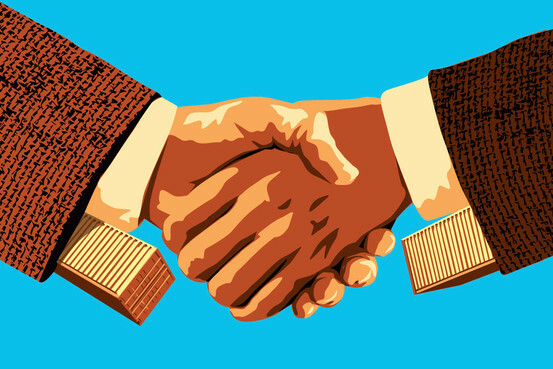 Crony capitalism prevails when ties between government and business determine success. 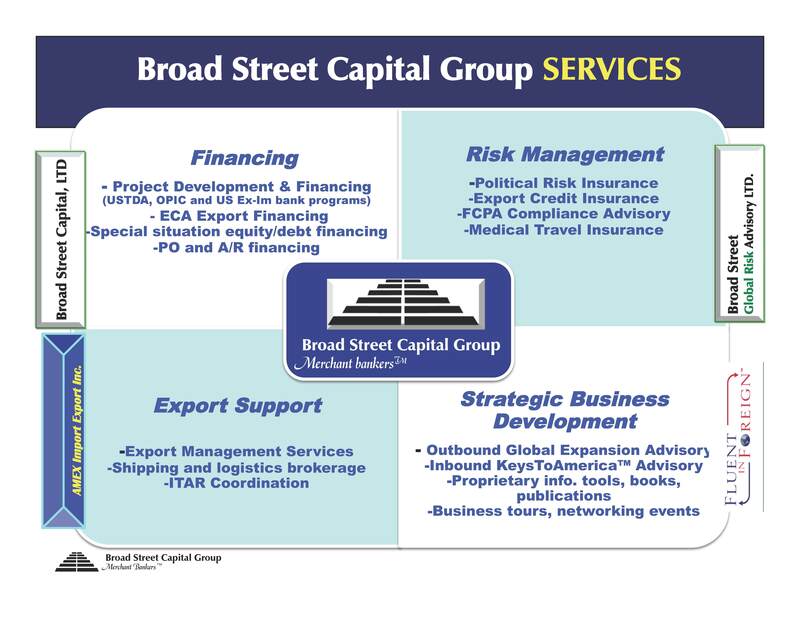 The Ex-Im Bank’s detractors argue that too much money goes to big exporters like Boeing and General Electric (GE). In reality, the Ex-Im Bank’s clients reflect the broader distribution of US exports, where large exporters account for the bulk of trade. Specifically, 90 percent of borrowers are small businesses, similar to the rate of small businesses in trade (85 percent of exporters have fewer than 100 workers, and 95 percent of exporters have fewer than 500 workers). While small businesses accounted for only 19 percent of the total amount authorized by the Ex-Im Bank last year, this is also similar to their share in trade. 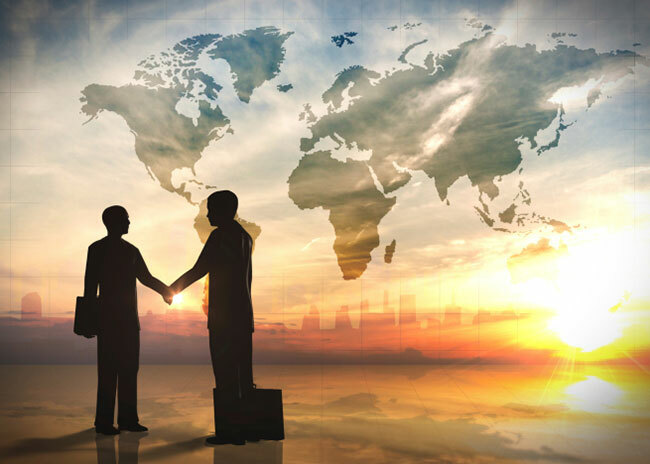 Firms with 100 or fewer employees account for just 15 percent of export values, on average, and firms with fewer than 500 employees account for 25 percent of exports. The skewed distribution of export financing simply reflects the skewed distribution of exporting. True, four employees at the Bank are being investigated by the Justice Department for allegedly accepting gifts in exchange for loans or contracts (not with the big companies). The investigation shows that corruption is not tolerated in the institution, but it still smells bad and comes at an unfortunate time. And, of course, corrupt individuals, with a much greater cost to society, are also found in private sector banks (and Congress, for that matter). In response, the Bank must be transparent in its anti-graft rules and their implementation in order to ensure we don’t toss out America’s top exporters with four bad apples. Myth #3 — The private sector will do better. The government intervenes when there are positive effects to lending in a sector. Take student loans. There are positive results derived by a more educated public, so governments offer students lower rates than they would receive on the private market. The same argument can be made for trade (and exporters have a much lower default rate than students). There are public benefits from having more exporters, which create better jobs—exporting firms tend to pay more and offer more benefits than other firms—and are less vulnerable to fluctuations in local demand. In addition, there are a lot of hurdles to export participation, such as paperwork and logistics. Cheaper loans help to offset these costs, especially for small businesses that may otherwise be unable to enter the export market. There is also a legal distortion in the private market. Trade is highly collateralized, but foreign accounts receivable are ineligible to count as collateral in bank borrowing. This means that private sector interest rates on trade finance tend to be well above what their real risk warrants. Finally, there is the important issue of the level playing field. 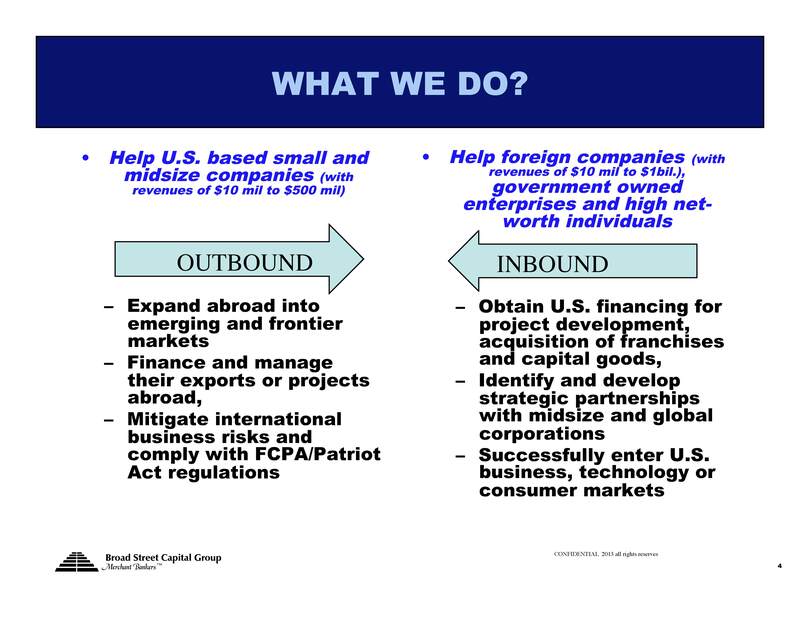 Our large trading partners have trade financing banks that are many times larger than the US Ex-Im bank. Without this tool, we put US firms that create good jobs for Americans at a disadvantage with respect to foreign competition. Given the Bank’s extremely specialized role, with no obvious cost, it is difficult to understand why the Bank has even become a target. Unlike healthcare or unemployment insurance, where support follows traditional party lines, the reauthorization of the Ex-Im Bank pits the right against the far right. Does this new territory suggest that the Republican Party is fragmenting? Or is this part of a broader strategy, where bank closure brings the discussion on spending and redistribution one step closer to the bigger fish that conservatives in the party really want to fry? After 25 years in business we have developed a winning business model to help companies establish, or expand their business internationally . We then put our business model into a poem and that helped us distill and internalize it better. 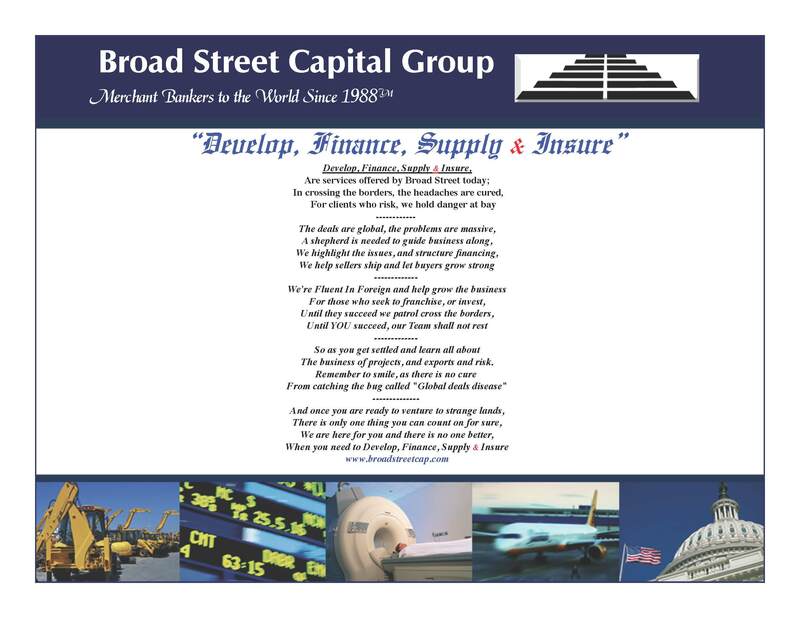 Can you express your business as a poem? If yes, submit your entry to agordin@fluentinforeign.com before 5pm April 4th, 2014 and the poem we judge to be the best, will be published in our upcoming Trade Week Special Edition in May. A fixture on New York’s Fifth Avenue, jewelry giant Tiffany TIF 0.00% & Co. is aiming to improve its luster overseas and particularly in Asia, where demand for gold and gems appears to be insatiable. U.S. shoppers have largely driven sales for the New York-based high-end jeweler, but that picture is changing. For the quarter ended Oct. 31, comparable sales in the U.S.—at stores open at least a year—rose by a modest 1%, with the bulk of sales logged at the New York flagship store, which sells mostly to tourists. Michael Kowalski, Tiffany’s chief executive, is looking for ways to turn those tourists into regular customers when they return home. Adding to Tiffany’s Japan-based stores, which the company first opened in 1993, the jeweler plans to open in markets such as Russia and in France. The other target is China, where the company operates 24 stores and plans to open three a year for the foreseeable future, attempting to take on rivals in a competitive market and convince Chinese consumers that Tiffany has the best cuts, designs and service. Mr. Kowalski recently traveled to China to show off Tiffany’s yellow diamond collection and spoke to The Wall Street Journal in Beijing about plans to build its brand in Asia. Education: Bachelor’s in Economics, University of Pennsylvania, 1974; M.B.A., Harvard University, 1977. Career: Began career at Avon Products in 1978, a year before it acquired Tiffany. Avon later sold Tiffany, but Mr. Kowalski remained at the jewelry maker, helping to take it public in 1987. He was appointed president in 1996 and CEO in 1999. Extracurricular: Loves nature, enjoys Chinese food and hates having his picture taken. WSJ: What are your goals for moving beyond the U.S. in the next three years? Mr. Kowalski: We do believe there are wonderful geographic expansion opportunities for us. We’ve tried to build a diversified geographic portfolio so that we aren’t dependent on any one region or any one country. We’ve only recently become a stronger presence in the Middle East and we’ll open our first-owned-and-operated store in Russia this spring. We’re also optimistic about potential in China. Our companywide plan is for Tiffany sales to grow between 10% and 12% for the foreseeable future. Right now, we have 24 stores and will probably open three to four stores here per year for the future. We certainly want to be flexible and watch how the market develops. That’s our strategic objective. Clearly if we regard China as the fastest-growing market going forward, that implies a growth rate meaningfully in excess of that 10% to 12%. We’re reasonably confident about that. WSJ: Some luxury companies are wary of China, where an austerity campaign has hit luxury sales. What makes you confident? Mr. Kowalski: We think the growth curve in China will be something we’ll love in terms of slope. But it’ll also be volatile. In 2011, it was a fantastic year here and 2012 wasn’t so wonderful. [But] 2013 is stronger and we just had a great quarter here. WSJ: What is behind the volatility? Mr. Kowalski: It’s driven largely by consumer sentiment and reaction to economic conditions perceived—real or of the moment. Consumer confidence is less volatile in Europe. China is at the higher end, [while] the U.S. is in the middle. I don’t know what drives that, but it’s a continuing challenge here. WSJ: Consumers are becoming increasingly global, particularly the Chinese consumer. How is tourism changing your approach? Mr. Kowalski: [The] rise of the Asian consumers and tourism has caused us to change some of our store practices. We accommodate customers who are speaking other languages. It’s a struggle to find Mandarin-speaking sales professionals. We have to work hard to find them. WSJ: What are you doing beyond language? Mr. Kowalski: It has caused us to increase our store presence in markets that are heavily visited by Chinese customers. We’re building a flagship store in Paris on the Champs-Élysées. We are enhancing the store experience in the U.S. and all over the world. We’re renovating stores and upgrading the quality in sales professionals and everything you see in the store. We’re changing the ratio of selling space to provide more seating space. More casual sit-down environment, more private areas. WSJ: What are some of the lessons you have learned by doing business in Asia? Mr. Kowalski: One thing we’ve learned is the need for high standards of service and store experience. We learned that several years ago in Japan and it was critical to our success. Here, we operate in a more intense environment than back in the U.S. and we need even higher standards of service. WSJ: What specifically have you learned in China? Mr. Kowalski: We learned we need to be more overt about how we present our brand. A great example would be the store signage. If you were to look closely at the New York Fifth Avenue store, Tiffany & Co. is written in steel letters on both sides of the doors, perhaps two [feet] in length, six inches in height and it’s carved into the granite of the facade. And that’s the only signage there is. When we first came to China, we were equally discreet and subtle in how we presented the brand and that created a problem. People simply didn’t see or couldn’t see the brand. They couldn’t understand what the store was about. We’ve had to be more direct and less subtle in how we communicate the brand. We need to do a better job of telling brand stories to give a deeper, richer more robust sense of brand. We’ve recognized that while there’s a broad awareness of consumers, we need to work very hard to increase the depth of that knowledge. There is limited understanding of our heritage and that diamonds are central to our business, that we cut our own diamonds. We need to work much harder to communicate that in China than in America or even in Japan. WSJ: How are you changing your strategy based on what you’ve learned? Mr. Kowalski: One thing we’ve started to do is use Tiffany blue far more aggressively in the stores and in the facade. The other thing we’ve done in China is focus on diamonds. We are the world’s authority on diamonds and we’ve emphasized that more dramatically than anywhere else in the world. We’re also speaking more about the Tiffany heritage. We are 176 years old and more longer-lived than many of the luxury brands. WSJ: You’ve had success in China recently, but what are some of the challenges? Mr. Kowalski: Diamonds are seen as value items here, which is at the core of their attraction. But one of the challenges with them in China is the bridal tradition, the engagement ring tradition. It has developed some in the last 10 years. But that’s a core part of our business. We’d like to think our presence here is encouraging that development of the tradition. Is It a Bribe…or Not? Do you know what violates the Foreign Corrupt Practices Act? Take our quiz and find out. The Foreign Corrupt Practices Act is among the statutes most feared by companies with global operations. It can also be one of the most confusing. Since 2008, the U.S. Justice Department and Securities and Exchange Commission have extracted billions of dollars in criminal and civil penalties over alleged violations of the 1977 law, which bars U.S.-based or U.S.-listed companies from bribing foreign officials in exchange for business and requires them to keep accurate books and records. But the line between legitimate business expense and bribe is sometimes hard to apprehend, and the U.S. government takes an expansive view of the statute’s reach. How well do you know the FCPA? Take this quiz, adapted from guidance published by the Justice Department and the SEC last year, to find out. 1. Gas Corp. is a large energy firm based in New York and listed on the New York Stock Exchange. It enters into a joint venture with a private European company, Euro Gas Ltd., to bid on a contract to develop an oil field in Nigeria. Senior vice presidents at Gas Corp. and Euro Gas meet in New York and decide to hire a consultant, Middleman Inc., to funnel payments on the joint venture’s behalf to a deputy oil minister with influence over the bidding process. The payments are invoiced as consulting fees, but Middleman Inc. passes most of the money to the deputy minister. The joint venture wins the contract. Which entities are liable under the FCPA? 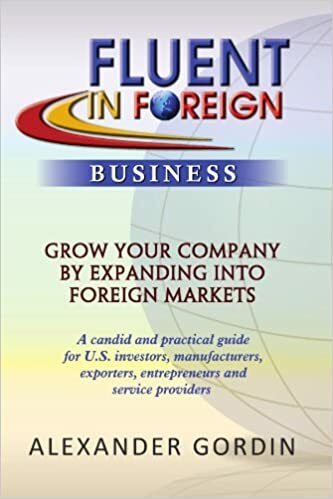 Fluent in Foreign LLC, a New York City based advisory firm that helps companies grow, finance and protect their business internationally, has been retained by Apple Seeds International LLC (http://www.appleseedsplay.com) to help them develop and manage children’s activity centers, through franchising arrangements, in international markets. apple seeds, which opened its first activity center in Manhattan in 2007, has won numerous awards for innovation in the design of its 15,000 sq. ft. facility as well as for its wide variety of extracurricular classes for children, and their parents or caregivers, from newborn to five years of age. Last year the company opened its first international facility, in Mumbai, India, with locations in Dubai and Mexico City slated to open this year along with a second Manhattan location. At a cafe in Abu Dhabi, two men met and discussed a bribe. One worked for Cyril Sweett International Ltd., a U.K.-based company managing the construction of a $100 million hospital in Morocco. The other worked for the architecture firm HLW International LLP, which was vying for a $5.6 million contract to design the hospital. 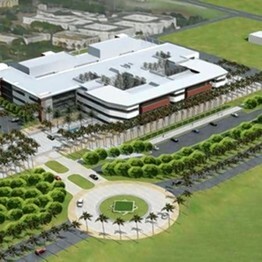 HLW won a contract to design a hospital, pictured, in Morocco. The Cyril Sweett executive had come with a message: HLW would get the work if it agreed to pay 3.5% of the contract value to an official inside the United Arab Emirates president’s personal foundation, which was funding the project. 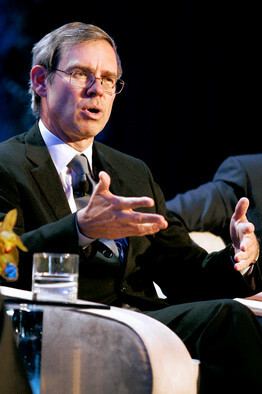 The May 2010 meeting, described in internal HLW documents reviewed by The Wall Street Journal, offers a rare, inside look at one company’s efforts to expand in a new market overseas without exposing itself to liability under a U.S. anticorruption law that has cost American companies billions of dollars in penalties in recent years. The allegations of corruption within the Khalifa Bin Zayed Al Nahyan Foundation come amid a UAE government push for stronger local laws to counteract a culture of patronage in which giving gifts to government officials is part of doing business. The documents suggest that HLW was one of several firms pressured to pay bribes in connection with projects funded by the foundation, which is named after the UAE’s president.